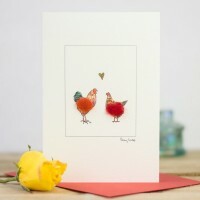 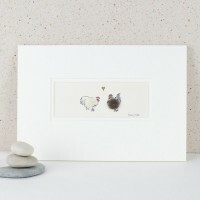 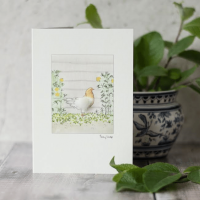 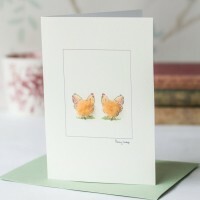 Buff Orpington Chickens Card From our range of rare and ancient breeds, we introduce our Buff Orp..
Hen in Flowers Watercolour Card This hen in flowers watercolour card is one of our new desig.. 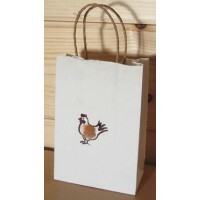 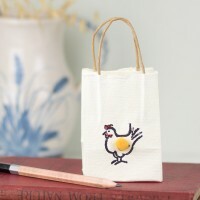 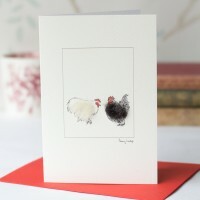 Choose our chicken card with Pekin bantams for a chicken loving friend. 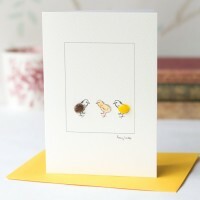 These 2 adorable hens are ha..
Three Little Chicks Card This is our three little chicks card. 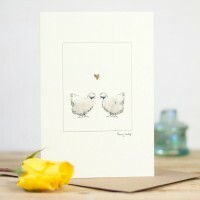 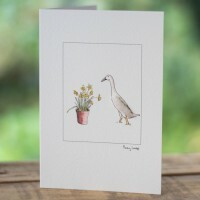 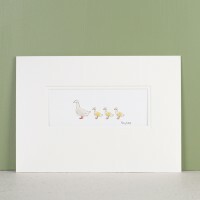 How cute are these 3 little fluffy..
Indian Runner Duck & Daffodils Card A charming handmade blank card of a fluffy Indian runner ..
Our Aylesbury duck and chicks art print is a gorgeous duck print from our range of poultry designs.&.. 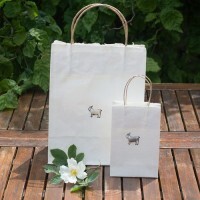 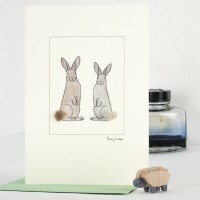 I love ewe wooly sheep print makes a beautiful anniversary gift. 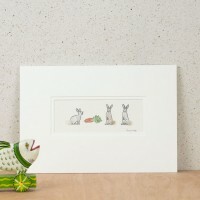 This sheep art print features a w.. 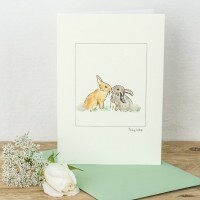 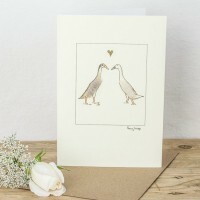 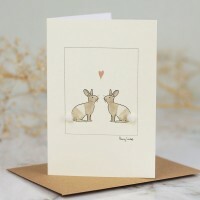 This rabbit card with its 2 rabbits kissing is a lovely quirky card for those new romantics, and ide.. 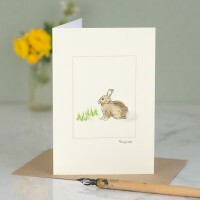 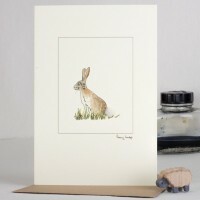 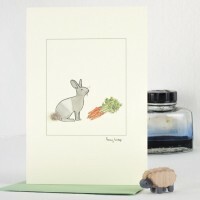 This rabbit card with a single rabbit in the grass is a beautiful handmade greetin..
Our rabbits & carrot print features 3 little brown and grey rabbits with fluffy tails with a tas.. 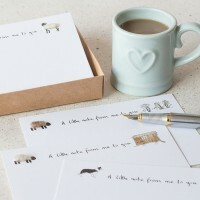 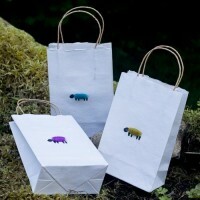 These sheep notecards, boxed set of 10, contains 5 different designs of sheep, including a shee..